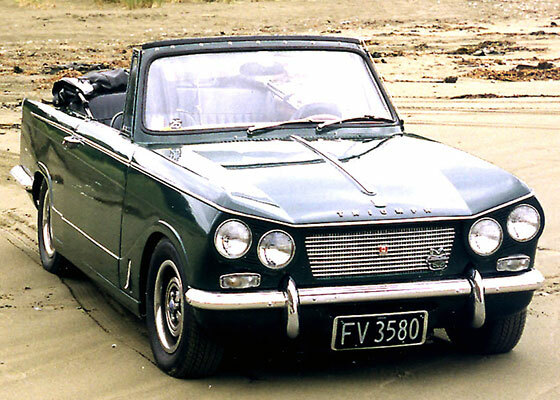 The Triumph Vitesse was launched in May 1962 in both saloon and convertible versions. 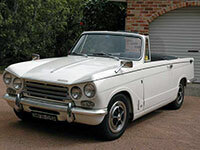 It was based on the successful Triumph Herald that had been introduced in 1959 and shared many of it components including the chassis and very stylish Michelotti bodywork. For the Vitesse this bodywork now featured a reworked front end, accommodating the twin headlamp arrangement that gave origin to the distinctive slant eyed look that makes the car so instantly recognisable. Unlike the Herald's small 4-cylinder engine, the Vitesse was fitted with a six-cylinder 1600cc unit that gave the Vitesse a level of performance that would surprise or even embarrass owners of some sports cars of the time. The interior of the car was again very similar to the Herald but benefited from some additions such as wood veneer door cappings. 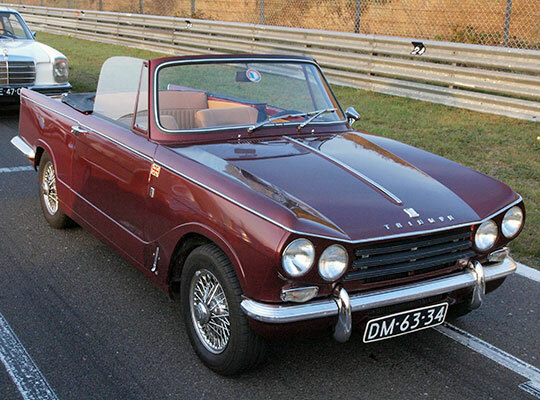 Like the Herald, the Vitesse also underwent some styling changes and mechanical improvements throughout its production run. In 1963 the chassis was strengthened, and in 1964 a rev counter became standard fitment along with a temperature gauge. 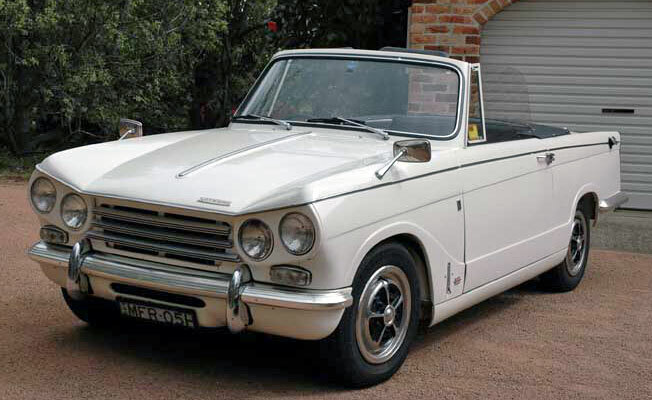 1966 saw the Vitesse gain some extra capacity in the form of a 2 litre engine giving the car a useful increase in power and torque. 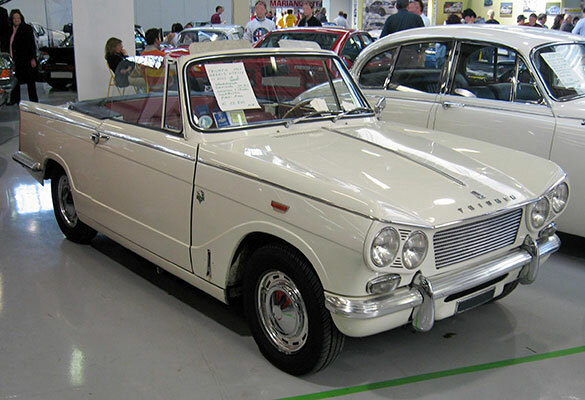 The final version of the Vitesse, the Mk 2 arrived in 1968. This boasted a new front grille, redesigned fascia, more engine power and revised rear suspension. 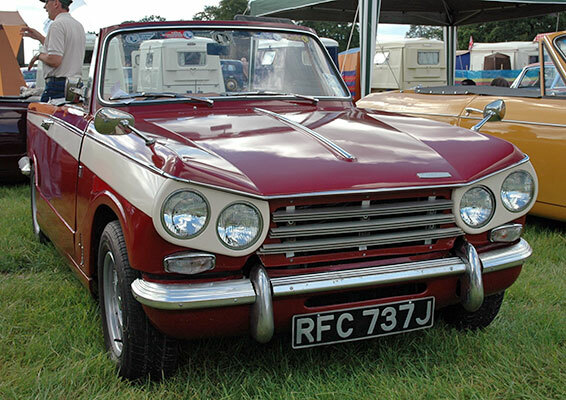 The Triumph Vitesse was discontinued in 1971.